South Africa has a long tradition of co-operation. Collectivist principles such as “ubuntu” (an African principle sometimes translated to mean “human kindness”) have guided the development of cooperative approaches. 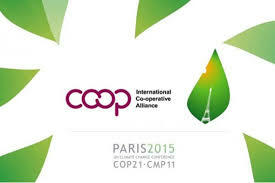 The history of co-operatives dates back to the early 1900s. The first recorded co-operative was the Salt River Trading Co-operative, a consumer co-operative started by railway workers in 1909. Before 1930, the rules and restrictions against the black population held back the development of co-operatives, although black organisations had started to promote co-operatives and several trading co-operatives, land banks, building and burial societies were established. With the approval of the legislation for co-operatives in 1922, the government provided support to white co-operatives, mainly in agriculture. Consumer co-operatives were established to help relieve poverty among poor whites. Credit cooperatives were established during the 1920s and 1930s. Two types of co-operatives were set up amongst township residents: co-operatives to buy food and stock items in bulk to be resold, and a co-operative loan bank. By 1950 most of these black cooperatives had failed. In an attempt to make what were then called South African “homelands” viable economic units, the Government started to promote co-operatives in the homelands and Trust Farms in 1950. These were attempts to get residents to accept the homeland system. In the 1970s, organisations were formed to promote self-help projects, which later transformed into co-operatives. The democratic movement in the late 1970s led to the first consumer co-operatives in black communities. The new democratic government elected in 1994 was faced with addressing the accommodation needs of its population in a way that would build long-term, sustainable settlements and strengthen the capabilities and livelihood of its citizens. The government introduced the “Reconstruction and Development Programme” (RDP) to “break down apartheid geography through land reform, more compact cities, decent public transport and the development of industries and services that use local resources and/or meet local needs”. RDP extended capital subsidies to low income households to secure a plot, install water and sanitation services and build a basic house. 1.5 million new housing units were built between 1994 and mid-2003, and the Department of Human Settlements estimates that 3.2 million subsidised units have been completed/are in progress for poor families to date. The programme enabled home ownership with title deeds being transferred to beneficiaries. 1.5 million new housing units were built between 1994 and mid-2003, and the Department of Human Settlements estimates that 3.2 million subsidised units have been completed/are in progress for poor families to date. Housing co-operative s emerged during the 1990s. The housing cooperative movement was initiated through the establishment of a non-governmental organisation, Cope Housing Association (COPE) in Johannesburg. Rooftops Canada provided support from 1992. 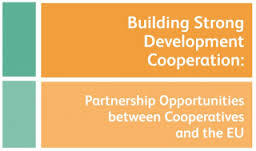 In 1994, the South African government signed a bilateral agreement with the Norwegian government to further pilot the co-operative model in South Africa, initially through COPE, with the aim of introducing the co-operative model all over South Africa. 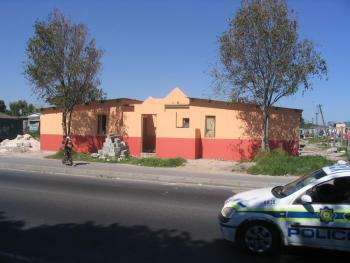 Several housing co-operatives in inner city Johannesburg were developed following the Scandinavian model. However this model failed in the South African context. The model underestimated the strong desire for individual ownership. It also required high start-up costs and an ongoing income to pay for the management services. At the same time in the Eastern Cape, the NGO Afesis Corplan finalised discussions with the Swedish Co-operative Center (SCC) to fund a social housing programme and the East London Housing Management Co-operative was the first housing management co-operative to be registered. The institutional housing component of the government’s capital housing subsidy scheme, introduced in 1997, facilitated the development of housing associations and co-operatives. The new funding mechanism, along with targeted donor support and efforts of key NGO’s, served as a catalyst for the development of pilot housing co-operative projects. From 1997 seven housing co-operative schemes using the institutional subsidy mechanism were developed by Cope Housing Association. Newtown Housing Co-operative (351 units) was the first housing co-op to be registered. Afesis Corplan and the East London Housing Management Co-operative facilitated the establishment of the Amalinda project comprising 9 housing co-operatives and 216 units with the aim of transferring the units to individual ownership. (Newtown Housing Co-operative faced difficulties and, after a legal case, the building was bought by Johannesburg Housing Company. While many members still live in the building the co-operative no longer has legal control of the property. Members in the Amalinda project have mainly not been able to take individual transfer of their units). The Social Housing Foundation (SHF) established by the government in 1997 to promote, support and assist sustainable social housing in the country, also became involved in co-operative housing development. The SHF signed an agreement of co-operation with the Norwegian government through NORAD1and the National Department of Housing to develop the housing cooperative sector through a programme called “Development of the cooperative housing sector in South Africa”. The SHF’s programme was implemented with the assistance of technical advisors from the Norwegian Federation of Housing Associations and Rooftops Canada. Hostels were a key feature of apartheid. Africans were not seen as permanent residents in urban areas, but as temporary migrant workers with a permanent home was in the rural areas, or “homelands”. The hostels provided dormitory type accommodation for migrant workers at a nominal rent per bed space. At the end of 1999, the City of Cape Town embarked on one of the most comprehensive public sector hostel redevelopment programmes through their “Tenure Options Programme” (TOP). This new approach was to give greater tenant and resident involvement in the management of their homes, while investing in improving the condition of the stock for low-income people. 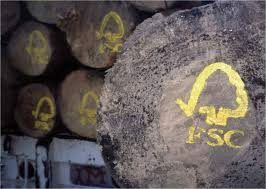 The aim was the transfer of 2, 000 units over four years. Tenant choice of tenure form was a key principle of the programme and allowed for the option of co-operatives, sectional title and social rental. These initiatives were supported by Rooftops Canada, and three co-operatives (two rentals, and one collective ownership) developed. Two of these co-operatives, are still in existence. There was a shift in government policy in 2004 to ensure the creation of sustainable human settlements rather than just the delivery of subsidised housing units. “Breaking New Ground” (BNG) recognised that the RDP programme often resulted in poor quality units, monotonous settlements on the urban edge, concentration of the very poor in new ghettoes and, poor-quality residential environments, without the necessary social facilities and supportive infrastructure. Quality of the housing improved as house specifications changed to a minimum 40m2 house (as opposed to initial 30m² unit, on a 250m² plot of land). They also had to comply with the National Home Builders Council’s minimum standards. In 2005, Rooftops Canada ended their representation at the Social Housing Foundation, and the SHF housing co-op programme also ceased. 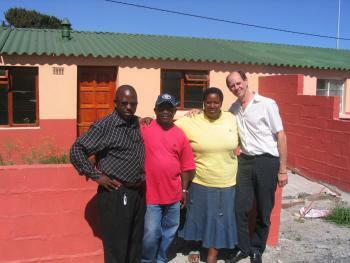 This brought an end to technical support to grass root housing co-operatives in South Africa. This has been replaced by limited support from some provincial governments, mainly the Eastern Cape and KwaZulu Natal, to communities wanting to establish co-operatives to enhance the delivery process, such as brick making co-ops etc – rather than any support for the establishment of housing co-ops themselves. 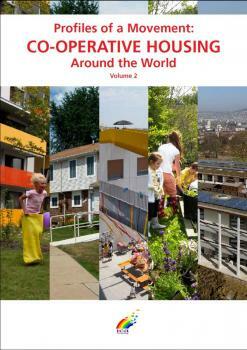 Several international organisations gave technical support to the development of co-operative housing in South Africa: Norway (through NBBL and NORAD), Sweden (through SIDA, SCC), USA (through CHF International), and Canada, (through Rooftops Canada). In addition to technical support, considerable funding support from overseas was provided, either in kind (Rooftops Canada, SCC, etc), and in the case of NORAD, R42 million worth of support was made available to Cope Housing Association, along with the establishment of a rolling bridging finance facility, the Cope Housing Trust. It is now nearly 20 years since the first democratic government took power and started to transform a society founded on race and gender discrimination to one built on human dignity, equality, human rights, constitutionalism and the rule of law. Even though Section 26(1) of the Constitution of the Republic of South Africa prescribes that the state must take measures to ensure that everyone has the right to have access to adequate housing, and despite success of some ambitious programmes such as the RDP and reforms to the planning system, the country continues to face a substantial housing deficit with a backlog estimated at around 2.1 million housing units. 40% of dwellings are informal housing. Colonial and apartheid legacies still result in dysfunctional and inequitable settlement patterns. Apartheid policies such as forced removals and restrictions on migration led to dense settlements in rural areas, while labour controls led to circular migration between rural and urban areas. While rural areas are the most deprived in relative terms, urbanisation of poor households means that there is a growing concentration of poverty in large urban areas in absolute terms. 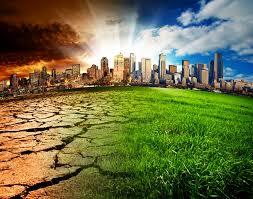 The country faces significant disparities in terms of human development. Many people live in poverty traps, including the former homelands, where less than 30% of adults are employed (compared with over 55% in the cities).One in two households depends on social grants or remittances, compared with one in six in cities. 55% of people are living in urban areas, while a significant proportion of the rural population spend their working lives in urban areas. At the same time, access to basic services expanded: 91.2 percent of households have access to water, 90.6 percent have access to sanitation, and 84.6 percent to electricity. The emphasis in housing development since 1994 has been on home ownership, yet there is a need for alternative housing options to accommodate the living and working patterns of the population. Rental accommodation should be addressed in a context of household mobility and transience, as well as the need to facilitate property finance for the lower end of the housing market. This is especially so as housing development in South Africa is seen by government as a key mechanism for addressing poverty alleviation through the participation and empowerment of people involved in the delivery process. Mechanisms to induce improved performance of the lower end of the property market, including those that increase private finance to this market segment. 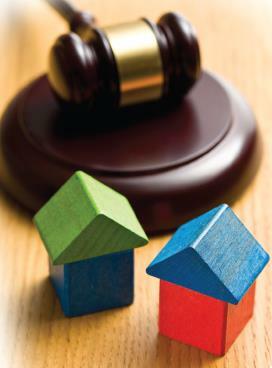 Fifteen percent of households in South Africa have access to mortgage bonds. Around 60 percent of households qualify for subsidised houses, leaving a group representing approximately 25 percent that do not qualify for a fully subsidised house, yet do not earn enough to qualify for a mortgage bond. This segment is known as the gap in the housing market. 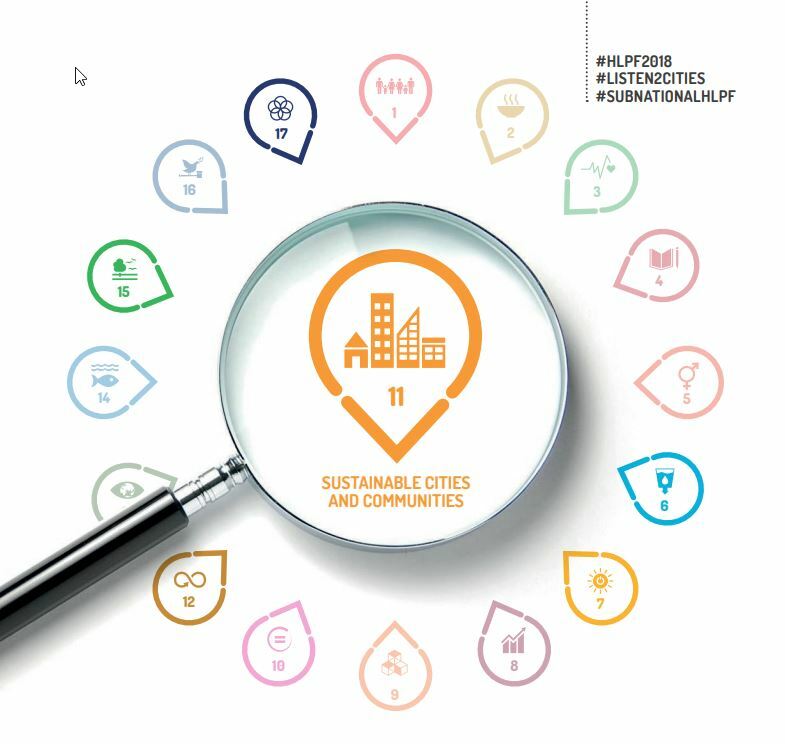 The 2009 Housing Code states that the human settlement process should be participatory and decentralised to allow for an effective response to priorities and opportunities at the local level. It recognises that there should be support for community participation in the housing process, thereby facilitating skills transfer and economic empowerment. 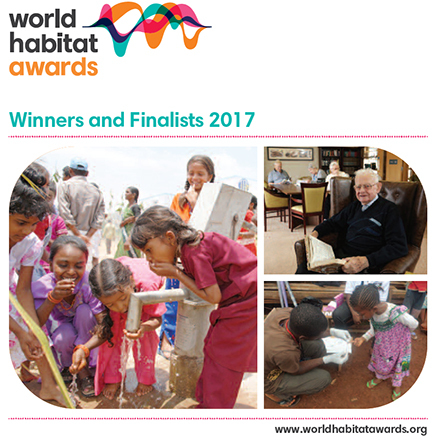 The human settlement creation process must be economically, fiscally, socially, financially and politically sustainable in the long term. At present this is mainly achieved via the Enhanced People’s Housing Process (EPHP) where communities are mobilised and partnered with government in the delivery of housing. At the end of 2011, the government’s National Planning Commission adopted the National Development Plan – Vision for 2030 that recommended that the state should gradually shift its role from a direct housing provider of last resort to a housing facilitator ensuring adequate shelter and greater access to a wider choice of housing options. In that context, the Social Housing Regulatory Authority is currently looking at a strategy for rental housing co-ops and plan to undertake a pilot scheme. The National Department of Human Settlements is also undertaking a sector analysis, and drafting a policy on housing co-operatives. Housing co-operatives could be important partners in the achievement of the government’s core housing development goals. 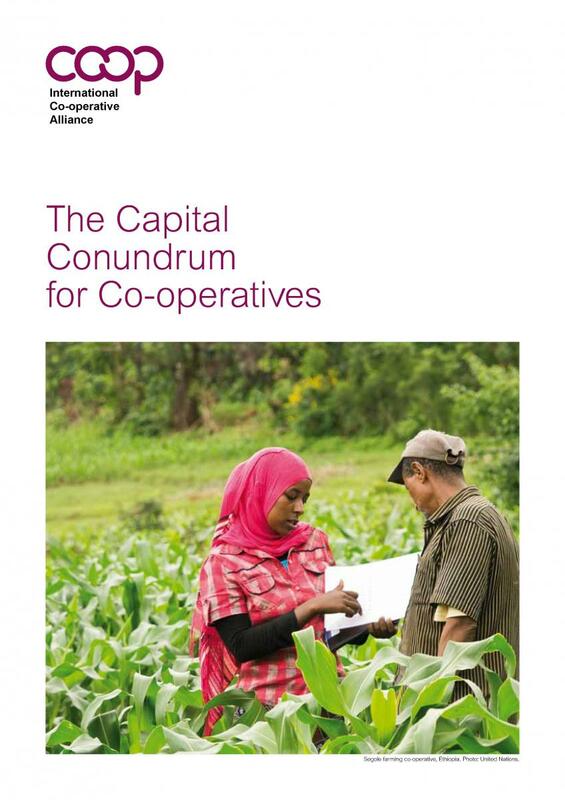 But the collective ownership model is difficult as members need to be able to sustain the payment of either a rental charge or levy to ensure the viability of the co-operative, which given high levels of unemployment is clearly challenging. Co-operative housing development projects require a high degree of sophistication in order to comply with the application, project management and monitoring requirements. In the past housing co-operatives were assisted by either local or provincial government, NGO’s, professionals, or international technical advisors to guide them through the process, with varying levels of success and commitment. 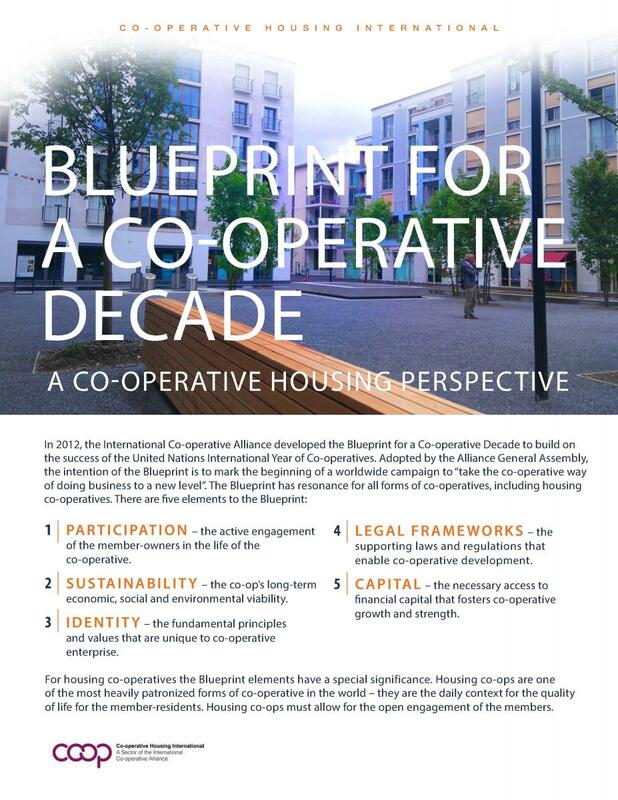 Finally, developing co-operatives for medium density housing is a significant challenge because of the difficult legal and regulatory requirements, the need for capacity building for members taking on management duties, affordability of the product to potential beneficiaries and the possibility of insolvency for the co-operative if members do not pay their rental charges or levies to the municipality. If housing cooperatives are to grow and be sustainable in South Africa, more emphasis needs to be given to the capacitating and building of the organisation. Housing Property Owning (or continuous) Cooperatives – where members join to own and manage the property collectively. The highest decision-making structure is a general meeting by the members and the board of directors is accountable to the general meeting. Co-operatives fall under the authority of the Department of Trade and Industry (DTI). Social Housing Act 2008: facilitates the delivery of social housing within specific urban restructuring zones and aims at providing access to housing through rental agreements or co-operative agreements. The Housing Act, Social Housing Act and National Housing Code make provision for capital subsidies and grants to housing co-operatives but there is no consistent program to implement housing co-operatives. 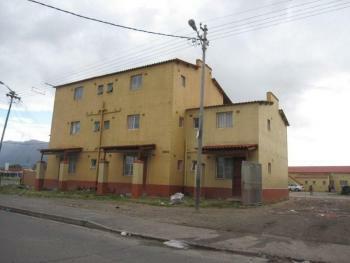 Housing subsidies in South Africa are in the form of upfront capital grants. Typically this is not sufficient for medium and high density housing so additional mortgage bond finance is needed. Beneficiaries must have a sufficient income to cover the resulting monthly rental charge. They must also meet certain income criteria as set out in the National Housing Code. The institutional subsidy mechanism allows for both profit and not for profit companies to access government subsidies for the purpose of providing housing on a collective basis to beneficiaries. The inner city rental co-operative housing developed used this subsidy, along with top up loans from the National Housing Finance Corporation (NHFC). The co-ops in Cape Town also received grants from the City and the private companies which previously owned some of the hostels. All the co-operatives used member savings to contribute “equity” to the projects (though in the case of rental projects the savings were the equivalent of a normal rental deposit). This is applicable in areas/projects where communities have already organised themselves and want to participate in the housing process (and build their own homes), or where there is the opportunity for mobilisation of communities to participate in the housing process. 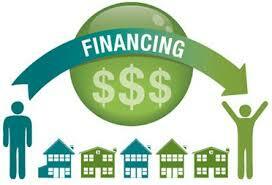 Government assists the PHP by providing subsidies, facilitating grants and funding housing support. It also provides training and technical assistance to families that own undeveloped, serviced stands and who want to access the housing subsidy to build their own homes (as in the case of Masisizane Women’s co-operative). Under PHP there must be a Community Resource Organisation (CRO), capacity building funding, housing support and a contribution from the community (savings or “sweat equity”). An amount is payable for facilitation on the project at 3% of the subsidy amount, and, 2.5% for the establishment of the CRO. Housing co-operatives such as Masisizane in Midrand and Ilinge Labahlali in Cape Town have successfully developed housing units using this method as the housing co-operative can take the role of the CRO that can help facilitate the necessary savings schemes and the subsequent development. 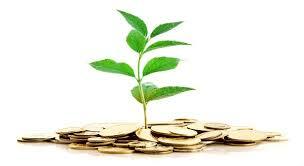 Funding via PHP helps to pay for offices and staffing of the CRO/co-operative while the development is taking place. Ilinge Labahlali is the only housing co-operative currently developing new co-operative housing units in the country, and is using the PHP mechanism, combined with institutional subsidy. The Social Housing Regulatory Authority (SHRA) accredits, invests in, and regulates, Social Housing Institutions (SHIs). The main aim of a SHI must be to acquire, develop and manage approved projects. The Act defines social housing as: A rental or co-operative housing option for low income persons at a level of scale and built form which requires institutionalised management and which is provided by accredited social housing institutions or in accredited social housing projects in designated restructuring zones. Social Housing: A rental or co-operative housing option for low income persons at a level of scale and built form which requires institutionalised management and which is provided by accredited social housing institutions or in accredited social housing projects in designated restructuring zones. Housing stock developed under the Act can be owned by an SHI or owned collectively by groups of residents and covers the rental option and collective ownership but excludes immediate ownership. The SHIs must be able to demonstrate financial and operational sustainability over time and adhere to the guiding principles for social housing. Housing co-operative projects must exclude any individual member gain from the grant funding provided to the project. Due to the ownership restriction at present the nature and regulatory requirements of housing co-operatives are unable to meet the requirements of the Social Housing Act and therefore cannot access funding for medium density inner city rental housing projects under this Act. Separate guidelines are being considered on this. If synergy can be reached between the requirements of the Co-operatives Act and the Social Housing Act for rental co-ops then housing co-operatives would be able to apply for accreditation from the SHRA and, if approved, access the Restructuring Capital Grant (RCG). The rules and regulations for accreditation are, however, very stringent and might be outside the capacity of the existing housing co-operative movement without support. This subsidy is currently more than twice the value of the institutional subsidy mechanism, with the aim of enabling very low income beneficiaries to access a rental unit in a decent location close to jobs and other opportunities. The National Co-operative Association of South Africa (NCASA) was established with the purpose of bringing together South African co-operatives under one apex body. 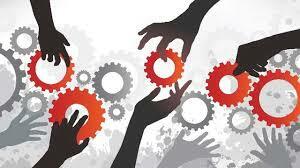 It gives support to all the different co-operative sectors. NCASA helped in the formation of a housing federation, the South African Housing Co-operative Association, SAHCA, in 2004. SAHCA is a “Secondary” Co-operative under the 2005 Co-operatives Act, as their founder members were Primary Housing Co-ops. They are affiliated to NCASA. 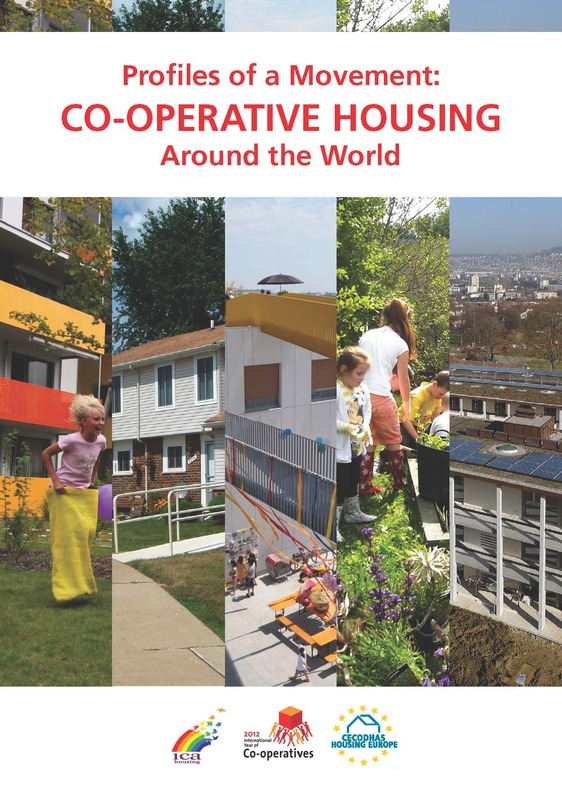 They have 75 housing member co-operatives. 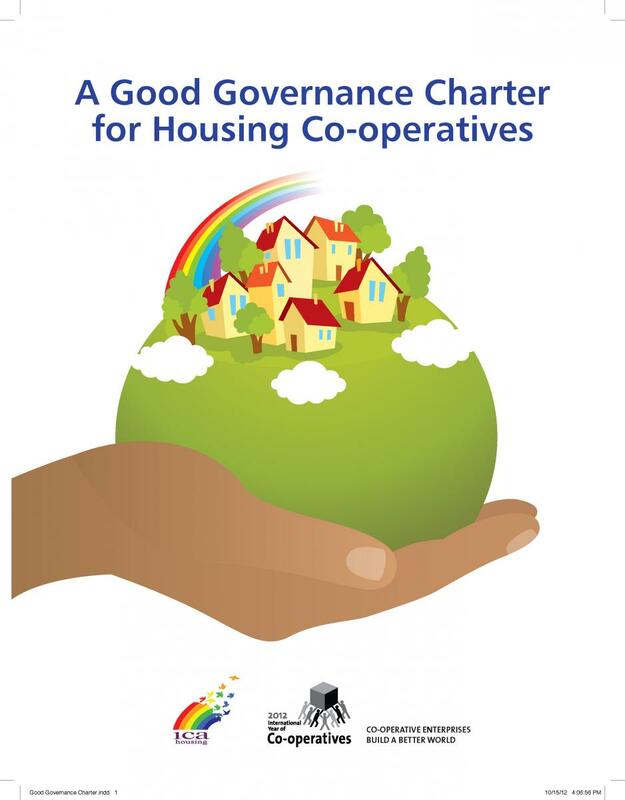 SAHCA’s aim is to unite, represent and provide services to housing co-operatives. It does this with the assistance of NCASA. SAHCA wishes to establish provincial structures. So far, a Gauteng Housing Secondary Co-operative has been registered, and they are establishing one in the Eastern Cape. about 11 million dwellings, of which only 6 million have been registered with the deeds office. Also around 1 million government-subsidised properties also not yet been registered with the deeds office. The rest are traditional or informal housing. approximately 45,800 non-profit rental units. 21 housing co-operatives developed 1,966 units. At least 25% of the units are no longer under co-operative ownership and management. 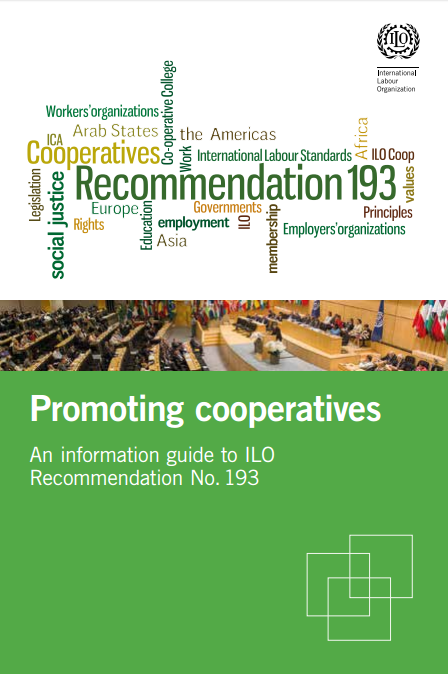 Most of the 150 - 198 co-operatives registered as housing co-operatives are building and worker co-ops and not functional.